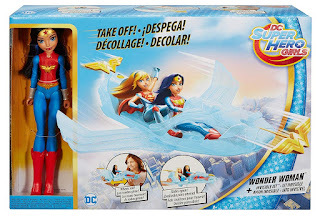 Amazon has the DC Super Hero Girls Wonder Woman Doll & Invisible Jet on sale for 40% off for just $24.01 (regularly $39.99). Saving you $15.98. 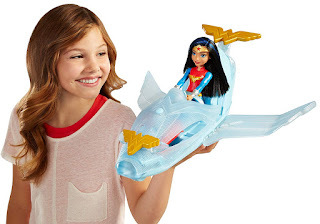 The ​Wonder Woman doll comes with her translucent Invisible Jet that has surprise features -- it rolls on wheels, it expands to make room for two and it shoots a projectile.